MTI Transportation: (952) 935-1990, then press Option 1, and then Option 2 for Charter Routes. Performing Institute of Minnesota Arts High School has identified and supports the three options for transporting students to school: School Provided Bus Service, Metro Transit Bus Go To Card and Carpooling. Information on each of these options can be found below as well as information regarding Student Parking & Parking Permits. PiM Arts High School contracts with a bus service for the 2017-18 school year. We utilize hub stops throughout the metro area. PiM Arts High School charges a bus usage fee of $100 per quarter to help cover the cost of bus transportation. This bus fee in no way should keep a student from attending PiM Arts High School. You may request financial assistance for this service. Pay in person at registration/schedule pick-up day. Pay using credit card on Infinite Campus. Families can pay book fees, lab fees, parking fees and other school related fees through Infinite Campus. There is a small processing fee added to the payment. Questions? Call Deb Zepeda, Business Manager at 952-224-1346. For students who would like to purchase a Metro Transit Go To Card, they are available for $90/quarter. This provides unlimited ridership on all MTC busses and light rail during the designated time period before 10pm. You can purchase these from our business office as well, or through the same methods listed above. Many families have shown an interest in carpool potential for daily and performance/event transportation. 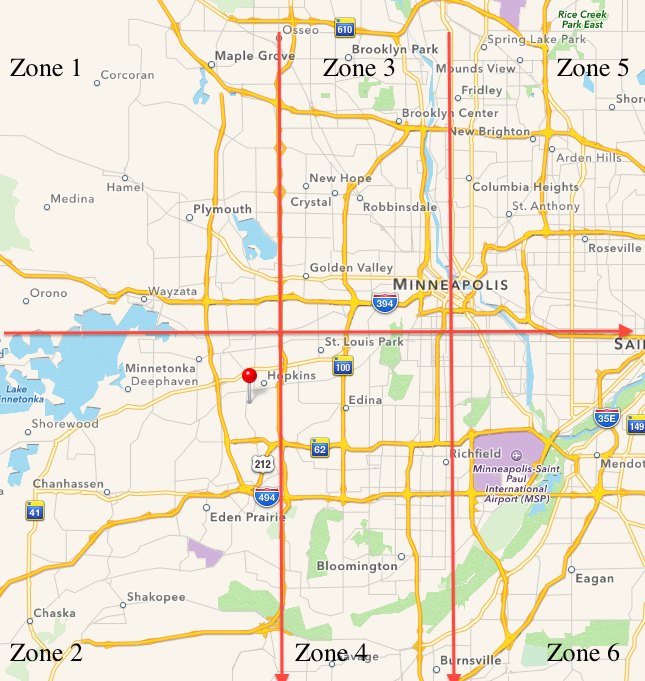 We’ve divided the Metro area into 6 zones which covers much of our population. Looking at this map, determine which zone you reside. The links below will take you to a public spreadsheet where you can add your information indicating you are interested in carpooling. You can enter as much or little information as you wish, but this information will be publically viewable throughout the school year. You can refer back to the page to see the other families interested in carpool partner options. Students are required to have a parking permit to park on campus. PiM Arts High School rents parking space in the 12th street lot on the east side of the building. The lot is regularly monitored for safety by Hopkins Police and PiM Arts High School staff. All student vehicles must be parked in the last three rows and must display a PiM Arts High School parking tag in the windshield or risk being towed at the owner’s expense. For student safety and out of respect for the surrounding community, we ask that students do not park on residential/side streets. Yearly parking permits are sold in the school office at a cost of $150.00 per year or $75.00 per semester. A parking permit may be revoked based on behavior or attendance. Must display permit in car. PiM Arts High School reserves the right to revoke a yearly permit without a refund based on behavior, attendance and/or academic progress. NOTE: Any student vehicle parked on school grounds may be subject to search by staff if there is reasonable suspicion to believe drugs, alcohol, stolen property or other contraband might be present in the vehicle. Random canine sniff searches are also conducted for the purpose of discovering drugs and other illegal contraband that might be present in vehicles.